The artist and author of Through the Inner Eye: Awakening to Your Creative Spirit discusses her latest novel. Jude Bennett's "happily ever after" has dissolved into a crisis that catapults her into the limelight of the Chicago art scene with a passion to help other struggling female artists. Even though her childhood dreams of being wife, mother, and artist have been realized, Jude instinctively knows something is missing. So when her mother suddenly dies, she sets out on a quest to find herself. 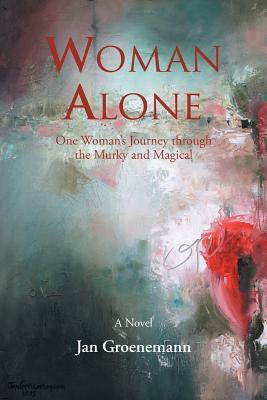 As her search for meaning in an unpredictable world takes her from rural Illinois into the international art world, from Christian traditions to a universal spirituality that encompasses even her Native American heritage, and from the belief that she needs a man to be whole, Jude must learn to embrace her vulnerability, the joy of self-discovery, and most importantly, her purpose. JAN GROENEMANN, MA, CLC, grew up as a farm girl in rural Missouri. In spite of never having a formal art class, she knew at an early age she wanted to be an artist. After graduating with a degree in Art Education and a minor in Business from Missouri State University she moved to St. Louis where she taught art on a secondary level. She began her career as a painter while teaching, married, and had three sons, one who was diagnosed at 14 months with Juvenile Diabetes. When her twenty-five year marriage ended in divorce, Jan built her few private art lessons and occasional painting sales into a thriving business. She published (1994) Through the Inner Eye: Awakening to Your Creative Spirit through Islewest Publishing, Dubuque, IA and began facilitating workshops nationally. After getting her MA in Studio Art and Creativity she was asked to join the staff of Lindenwood University as a Humanities adjunct professor. She showed her work in Germany through a cultural exchange program and was a resident artist at The Foundry Arts Centre in St. Charles, MO. This led to her work being in collections throughout the United States and many parts of Europe as well as being published in Artist's Magazine and New Thought Journal. She was also named to Who's Who Among America's Teachers and won the Arty Award for Individual Accomplishment in the Arts in St. Charles County. Upon building a new studio overlooking her Japanese style garden where she also has a classroom studio she left the Foundry to work there and began work on Woman Alone. She left Lindenwood after fourteen years and continues to work and teach from this location.